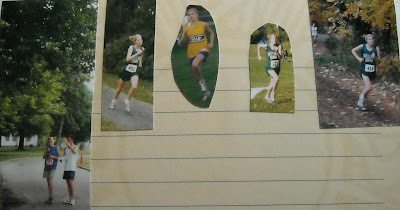 In August 1996, I started running. And 15 years later, I'm still going. I've never been very fast, but I'm getting better. And that's good enough for me. I don't know how many miles I've run over 15 years, but I've definitely covered a lot of ground. I've run on tracks and roads and trails and beaches. In Germany, France, Canada, Mexico, Ecuador and the Galapagos Islands. On an airport runway and through a zoo. In heat and snow and wind and rain. Through sad times and happy times. With friends and alone. In sickness and in health. And hopefully, for as long as I shall live. I can't remember who I was before I became a runner. And I don't ever want to stop. I know I wouldn't be who I am today without all those miles and all the people I met along the way. I may not know where I'm going, but I know I'm going to run there. Lyric of the moment: "Running down a dream that never would come to me. Working on a mystery, going wherever it leads. Running down a dream. I felt so good, like anything was possible..."